Pelvic floor exercises for pregnancy: The Pregnancy Pelvic Floor Plan app. 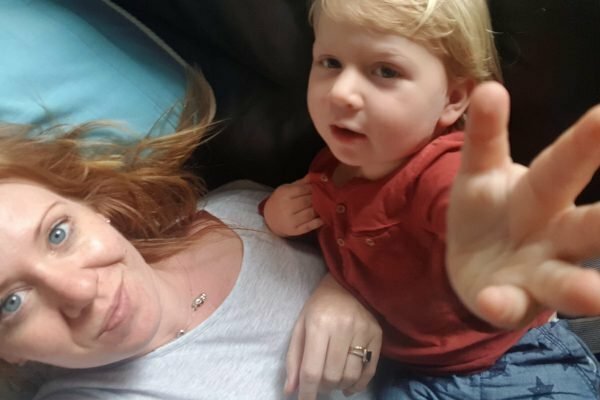 Picture the scene: You’ve finally got your non-sleeping toddler to sleep after a mammoth night of wakings and as you look at them all angel-face snoozing, you feel your nose twitch and that sharp inhalation of breath that only comes with one thing: a monster sneeze. Then, pregnancy incontinence. So like any parent, you somehow manage to sneeze inwards to make the least noise despite it feeling like your whole body is going to explode into tiny pieces. Add that to being seven months’ pregnant with a pelvic floor that’s seen better days and voila!, you’ve slightly peed your pants. And no, it’s not the first time. Throughout this pregnancy, my second no less, I’ve been blessed with the worst bout of hay fever and a testing pelvic floor. I’ll be chatting to my husband and suddenly freeze, brace my whole body and pray to the PF gods that my undercrackers escape unscathed. And while I might be alone in wanting to write about the intimacies of my nether regions, rest assured I know I’m not the only one facing this constant battle. In fact, one in three women out there right now are living in fear of esca-pee. Me and my toddler; I&apos;m about to sneeze. Image: Supplied. So, what can we do about it? Well, finally the tech world is waking up to our needs when it comes to female health. It’s actually got a cute little title, femtech, and it’s a growing area to help women with all areas of their sexual health. But for us slightly damp prego ladies - and new mums too - the best has to be an app offering pelvic floor exercises. There are a few out there, but let it be known that not all pelvic floor apps are created equal. 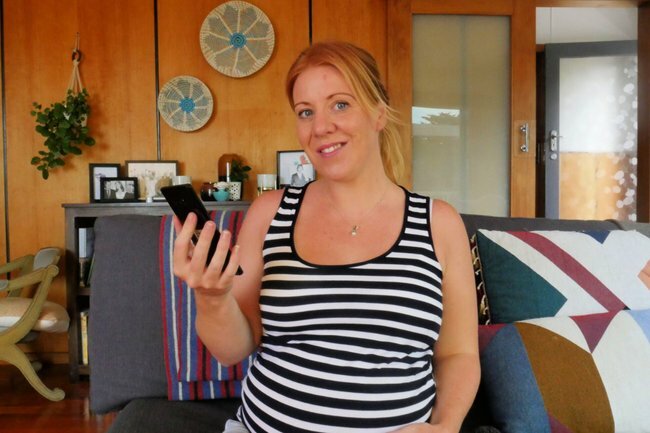 My tried-and-tested and totally approved one is The Pregnancy Pelvic Floor Plan app, which has been created in conjunction with The Pregnancy Centre and the Continence Foundation of Australia. It was also made with the help of pregnant women and other women who&apos;d recently had babies, so it&apos;s a tailored and personalised experience. This is how it works. You download the app, which is free, then add in your due date and you are soon welcomed into a world where your pelvic muscles will be worked. Here you’ll find the sciencey bit about what exactly the pelvic floor is and why you should exercise it. The app also gives you a detailed breakdown of how to exercise that area of your body. And then each day, a little notification pops up telling you to get to business. Sounds simple right? Well, it kind of is. The Pregnancy Pelvic Floor Plan app. Image: Supplied. But really, many women aren’t even sure what the pelvic floor is. And many of us who have good intentions are actually just gripping our whole body and holding our breath and that isn’t working the muscle. Essentially, your pelvic floor is a muscle that is found at the far end of your tummy. It’s stretched like a hammock from your pubic bone to your tail-bone at the back and it’s there to help keep your pelvic organs in place. The problem for us who are pregnant is that the weight of the baby pushes down on the pelvic floor and the muscles don’t work as effectively. So regular exercise will not only help reduce incontinence (sorry, that word!) but in most cases, reverse this problem. That&apos;s why it&apos;s also great for women after they&apos;ve had babies too. Now, the best way to do the exercises right is to actually identify the muscle correctly. So, next time you sit on the toilet for a wee, half way through the flow, make it stop. You just used your pelvic floor. Now you might be tempted to do your pelvic floor exercises like this all the time right? But it’s best not to because actually your bladder isn’t a fan and stops working effectively at draining itself completely during toilet time. Instead, the app will let you know when to lift and hold the muscles, releasing and repeating around 10 times. It takes around a minute. And it’s proven that those of us who flex this muscle during pregnancy actually recover quicker from childbirth. And really, if there’s anything that can speed up that special type of hell then sign us up. Download The Pregnancy Pelvic Floor App on Google Play or Apple now.